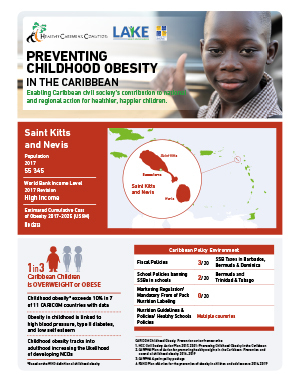 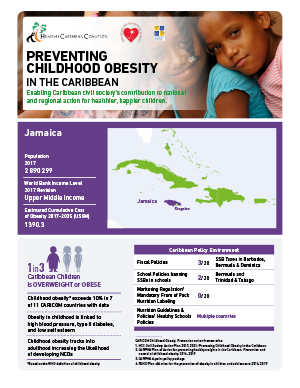 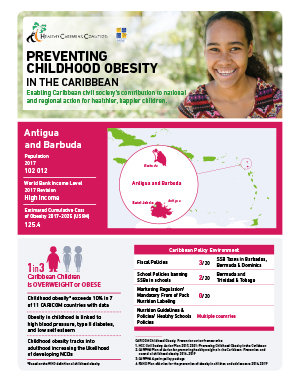 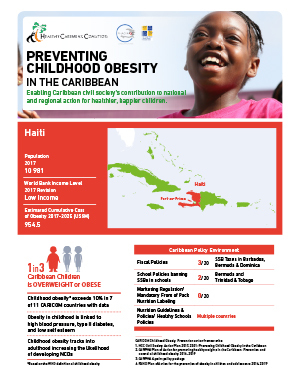 These childhood obesity prevention fact sheets are intended to serve as tools to support civil society advocacy. 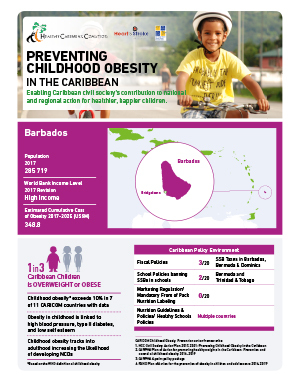 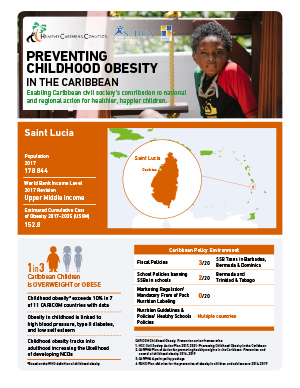 The fact sheets contain individual country information about childhood obesity and overweight, adult overweight and local policy environments, including snapshots of the Childhood Obesity Prevention Scorecard (COPS). 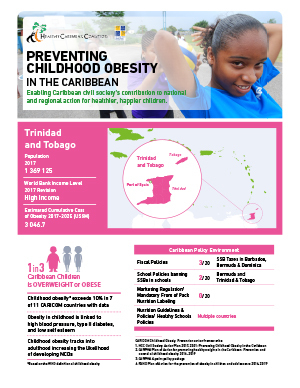 It is important to note that the same data source (WHO Global Health Observatory) for the rates of obesity and overweight among adults and children was used for all countries in order to allow for comparisons across these countries. 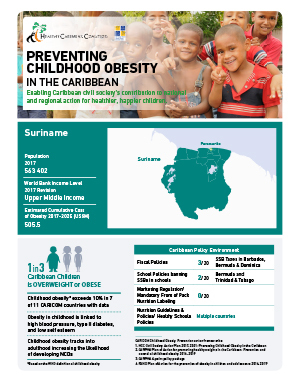 Similarly the same data sources were used for the Risk Factor data on each country fact sheet. 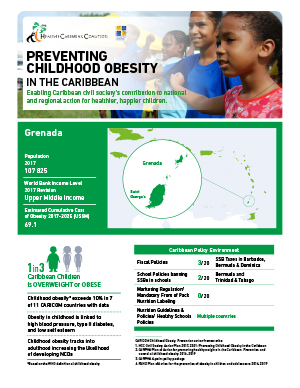 We recognise that there are other sources of data for the information provided (some of these are included in the references list). 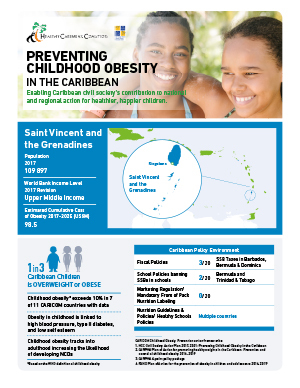 In some instances the data values and age groups referenced may vary and the year the data was published may also be different. 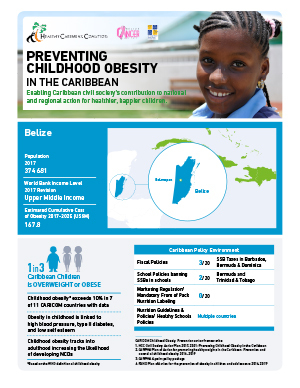 These fact sheets are intended to serve as tools to support civil society advocacy and we encourage advocates to draw from all credible data sources to support your messaging and amplify your advocacy. 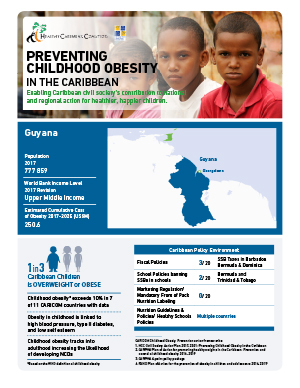 Currently there are fact sheets for 14/20 CARICOM countries. 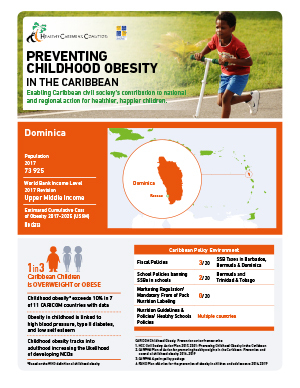 We are working on completing similar fact sheets for the remaining 6 countries. 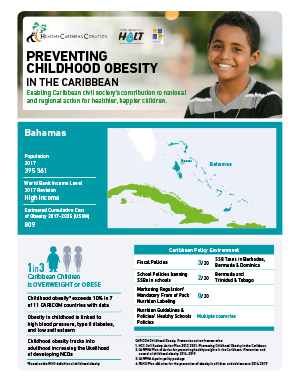 If you would like to update any data in the fact sheets please reach out to us at hcc@healthycaribbean.org.